Party poppers are great for breaking the ice or to add drama to a congratulation. The party poppers will make any celebration go with a bang. 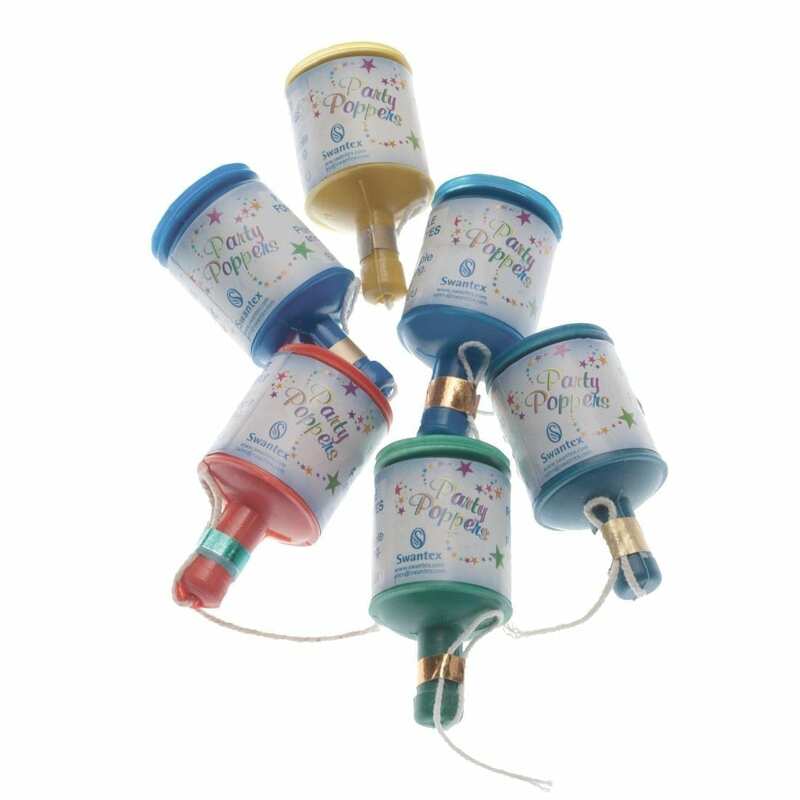 Supplied in a variety of colours, these poppers will distribute a fanfare of streamers around the room when pulled. Supplied in boxes of 144, you will always have plenty of party poppers for any special occasion.